Weavers take pains to hide the behind-the-scenes snarl of loops, knots, and loose ends that make the magic happen. So it may come as a surprise that the Sololá purse by Grain chooses to celebrate the oft-messy, wabi-sabi route we traverse before the big picture comes into focus. Crafted by Guatemalan artisans from vintage huipiles, or traditional women’s blouses woven on the backstrap loom, each one-of-a-kind purse is turned inside out to show its artful dishevelment—so it’s all business inside, party out front. Grain, a burgeoning design group, began in 2007 when its four principals were students at the Rhode Island School of Design. The Sololá, in fact, was originally conceived in one of their classes, “Bridging Cultures Through Design,” which included a field trip to Guatemala. 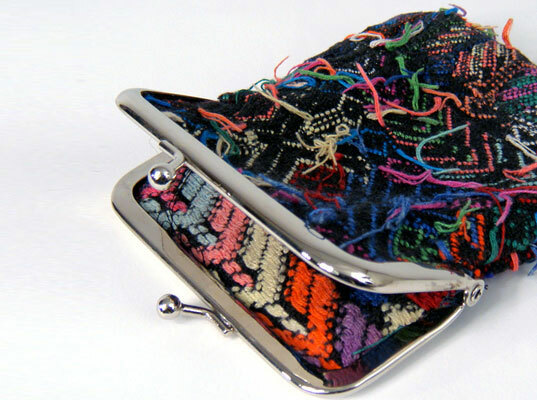 Each purse is crafted from vintage Guatemalan women’s blouses woven on the backstrap loom. If anything will liven up a snorefest soiree, it’s the Sololá. But the purse is more than a statement-making conversation starter. Besides supporting sustainable incomes for artisans in Antigua, Grain also allocates a portion of its sales to 1% for the Planet. This is awesome. My mother is from guatemala, and I have heard for years about this traditional blouses. I love this idea and cant wait to be able to buy one. Thanks so much for the thoughtful post Jasmin! This is a great and inspiring idea... I love the simpleness and the richness of the purse. cheers.. I love these purses. Are the available for export outside of the US? Weavers take pains to hide the behind-the-scenes snarl of loops, knots, and loose ends that make the magic happen. 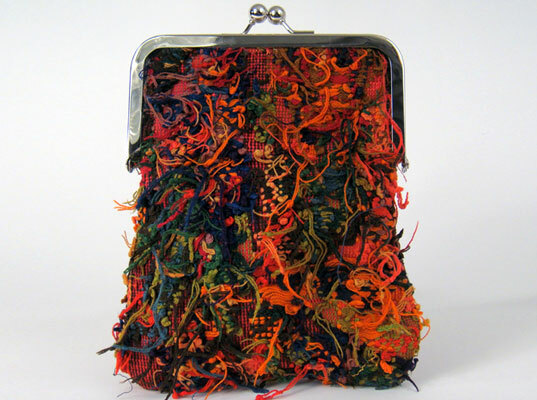 So it may come as a surprise that the Solol� purse by Grain chooses to celebrate the oft-messy, wabi-sabi route we traverse before the big picture comes into focus. Crafted by Guatemalan artisans from vintage huipiles, or traditional women's blouses woven on the backstrap loom, each one-of-a-kind purse is turned inside out to show its artful dishevelment�so it's all business inside, party out front.